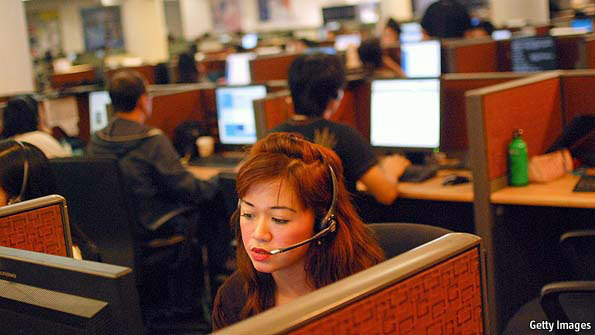 For the past decade, technical support has been in the vanguard of globalisation. With the costs of intercontinental communication shrivelling to virtually nothing, phone and online customer services have migrated to wherever they can be managed most efficiently and cheaply. India blazed the trail, building a $5 billion outsourcing business on helping Westerners solve high-tech niggles.